Kids Winter Gloves $1.29 Each. Kids wholesale winter fleece gloves. 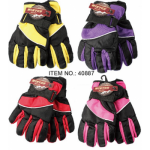 Solid Color assortment on these wholesale winter gloves. A grea..
2 pk. Hand Warmers $0.79 Each. 2 pk. 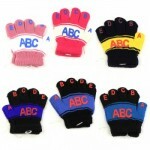 Instant Heat pack 8+ hrs.Case of 300..
ABC-123 Kids Winter Gloves $0.70 Each. 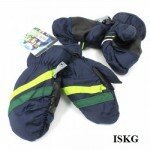 Kids wholesale winter Gloves. The perfect gift for toddlers.Case of 288.. Adult Ski Gloves $2.59 Each. Unisex Ski Gloves with belt in Pre-Assorted ColorsCase of 72 Pairs..
Baby Winter 3Pc. Set $2.00 Each. 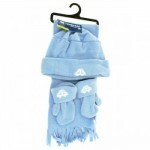 Keep your baby warm during the winter months with our polar fleece set for babies. Material: Po.. Boys Magic Gloves $1.29 Each. 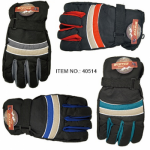 Boys Magic GlovesColors: Black, Navy Blue & GreyCase of 144.. Boys Ski Gloves $2.59 Each. Boys ski gloves with adjustable belt.Case of 72 Pairs.. 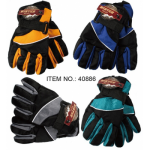 Boys Winter Gloves $0.74 Each. Boys Winter Gloves in assorted colors with Stripes.Case of 144.. Girls Ski Gloves $2.59 Each. Warm ski gloves that are great for the snow with its waterproof exterior. Fleece lined and insulated.. 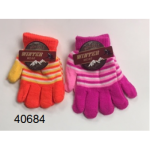 Girls Winter Gloves $0.74 Each. Winter gloves for girls in assorted colors with stripes.Case of 144..
Microfiber gloves with Stripe DesignCase of 144 Pairs.. Kids 2 Tone Hat $1.25 Each. Kids Winter Hats in Assorted Colors. ﻿Case of 144.. Kids Ski Mittens $2.59 Each. Waterproof Ski mittens for kids in 6 assorted colors.Case of 72.. Kids winter stripe hat in Assorted Colors.﻿Case of 144..
Assorted stripe hats for kids﻿Partial case call for details..
Knitted Headbelts for Ladies in 12 vivid colors to match your different winter outfits. 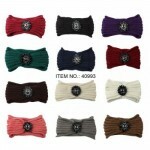 A different ..
Knitted Head Belts $1.35 Each. 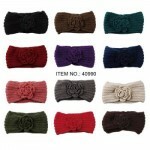 Ladies head belts. Great head ware during the winter months. 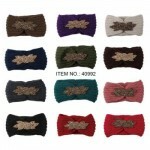 Super soft and stretchy to ke..
Knitted Head Belts $1.45 Each. 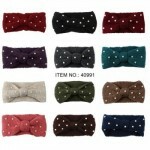 Ladies Fancy Head Belts. Super soft and stretchy to keep ears warm without squashing your 'do!C.. Fancy Ladies Head Belts. 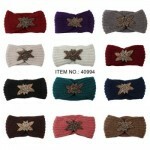 Super soft and stretchy to keep ears warm without squashing your 'do!C..